Our transparent, spacious, cage-free environments are perfect for providing dogs the physical & mental stimulation they need. All dogs are separated by size, temperament and disposition. 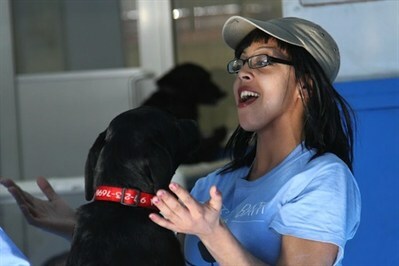 A member of our handling staff is always supervising the dogs, facilitating play and making sure nobody gets bullied. We confirm the status of all of our guests' rabies, distemper, parvo, and bordetella vaccines beforehand, so you can rest assured knowing that your companion is healthy and safe. We get to know each one of our dogs (and their parents) personally. We know them all by name, their habits and disposition, and who their best friends are. Just like a good teacher, we'll let you know if your pup has a difficult day or if something doesn't look quite right. We'll also send a note home with them if they act up in class.